Shevy Sputz, a mother of two, moved to Philadelphia from Brooklyn, NY in 2015, with her husband Rabbi Hirshi Sputz, to help serve the needs of the Center City Jewish community. 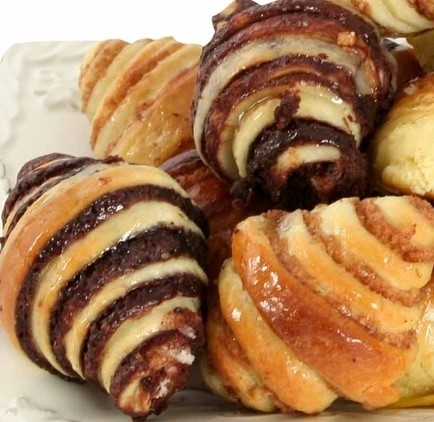 In a short time, Shevy realized that she could enhance the community’s kosher scene with her gourmet baking skills and founded Shevy’s Babka Paradise. Now, Shevy brings the joy of baking unique kosher goodies and offers cooking classes and demos on traditional Jewish foods where she shares tricks and shortcuts to some good old Shabbat and holiday favorites! All proceeds of Shevy's Babka Paradise profit Chabad of Fairmount and the programs and services it provides for the Jewish community. Registration, payments and cancellations* must be made by November 2, 2018. *No refunds will be given after this date.